of the Eagle River Chain! For the family that wants to have access to the Eagle River Chain of Lakes but still wants to be near town, this is the place to be. If you are interested in taking part in the Journey's Marathon, Cranberry Fest, or other activities in Eagle River, you can't beat the location. 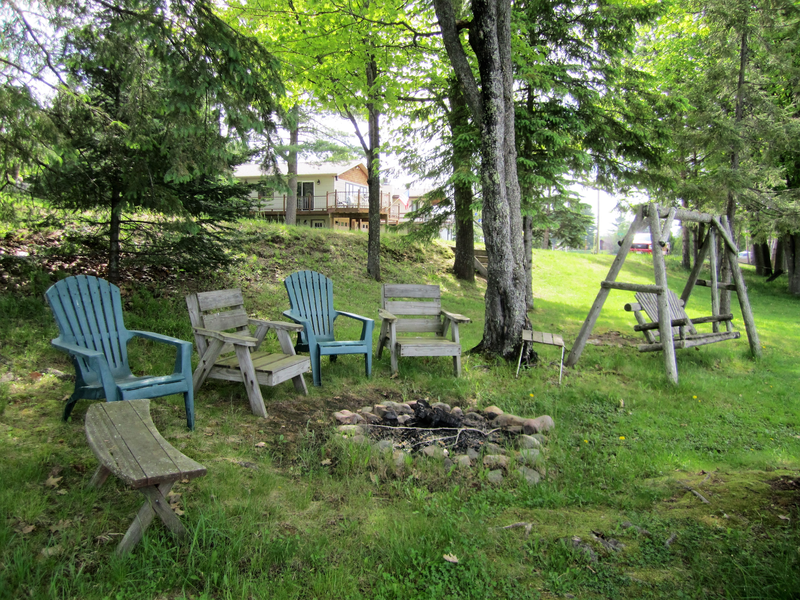 Outside, at Yellow Birch Lake there is a fire ring with seating, wooden swing, new large pier & 14 foot row boat for your use. The FREE boat launch is just a walk away. 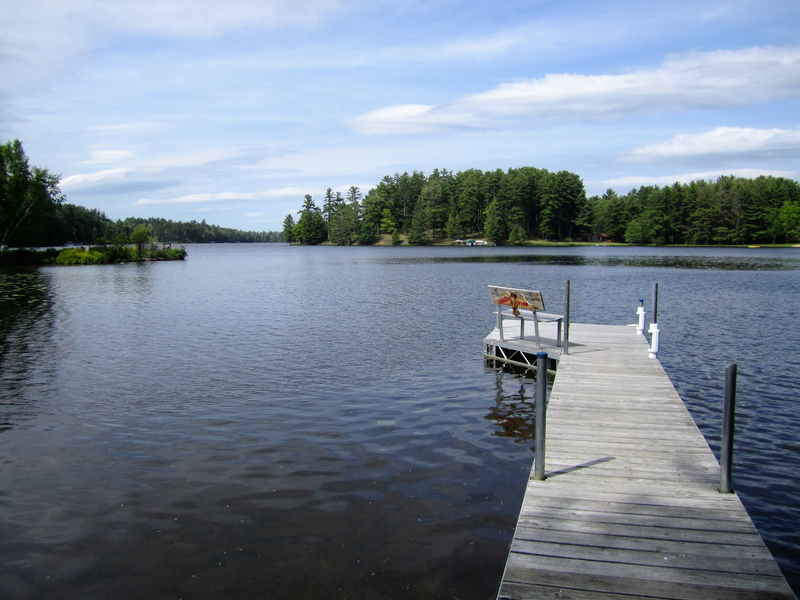 Dock your boat & start your adventure of the world famous Eagle River Chain of 28 Lake! Largest Fresh Water Chain in the World! If fishing is your pleasure, every lake in the chain is a Class A Musky lake....musky, northern, walleye, crappie, perch, sunfish, blue gills & bass! 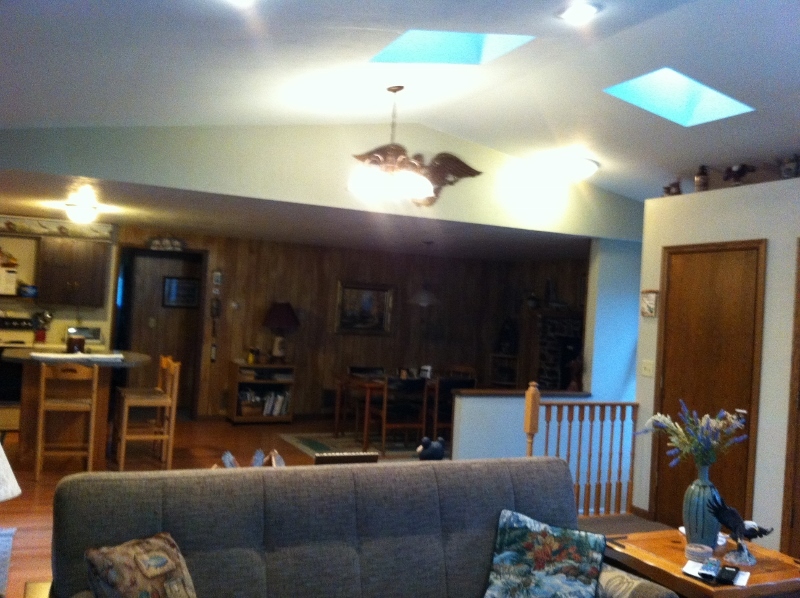 Eagle's Bay View has 3 bedrooms/2.5 baths. The Master Suite features queen bed & a private bath with standing shower. 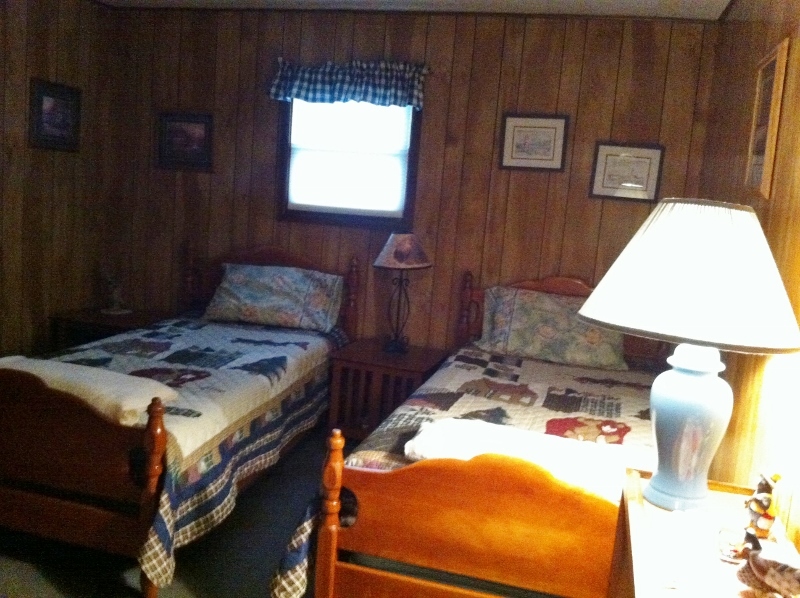 There is a double bed in bedroom 2 & 2 twins in the final bedroom. Bath number 2 is tucked in between. 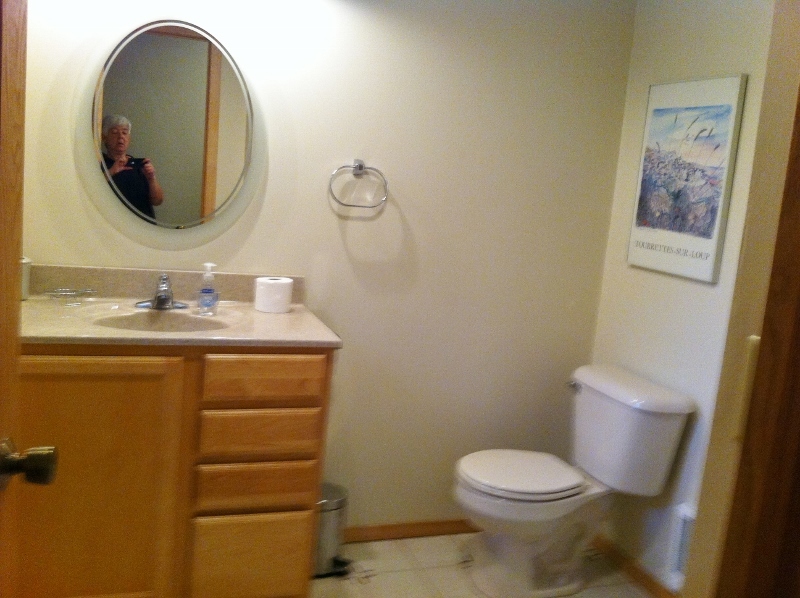 The half bath is located off the living room. Also a futon sleeper in the living room. 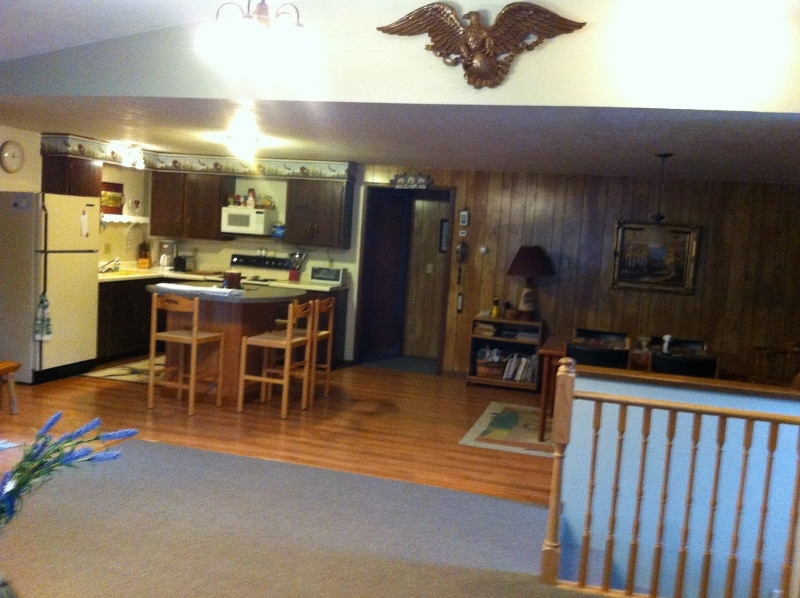 The family room style kitchen/dining area has everything you will need to prepare meals. 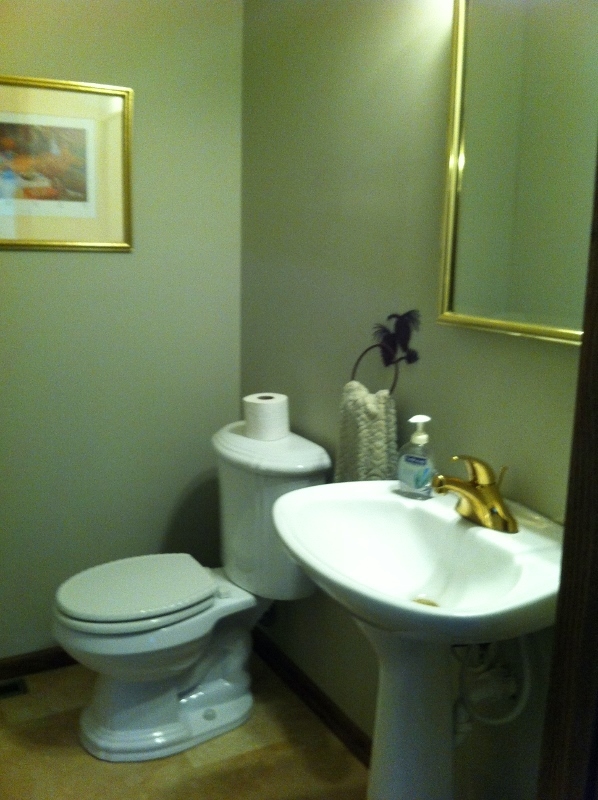 To include brand new counter tops & dishwasher! 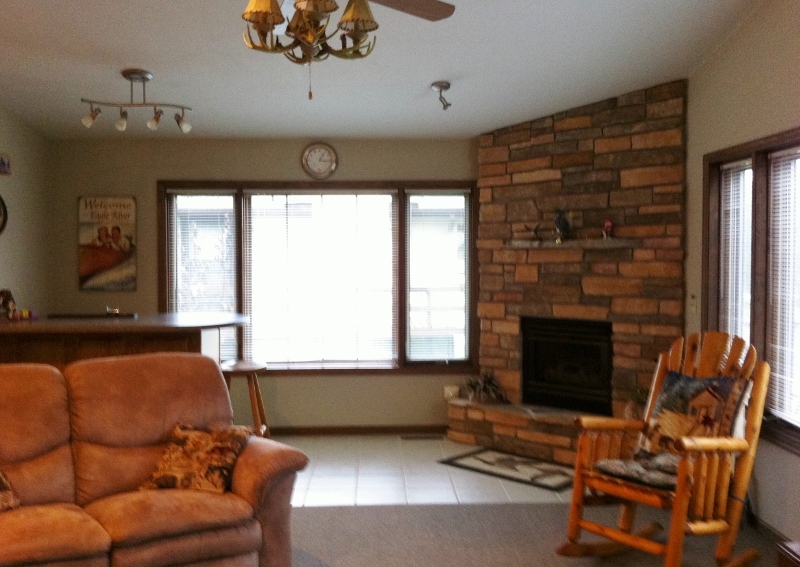 The dining area has wood burning fireplace & large dining table. In the living room a gas fireplace & wet bar, cable TV & free WiFi PLUS a patio door that walks out onto a huge deck that have a magnificent view of Yellow Birch Lake. 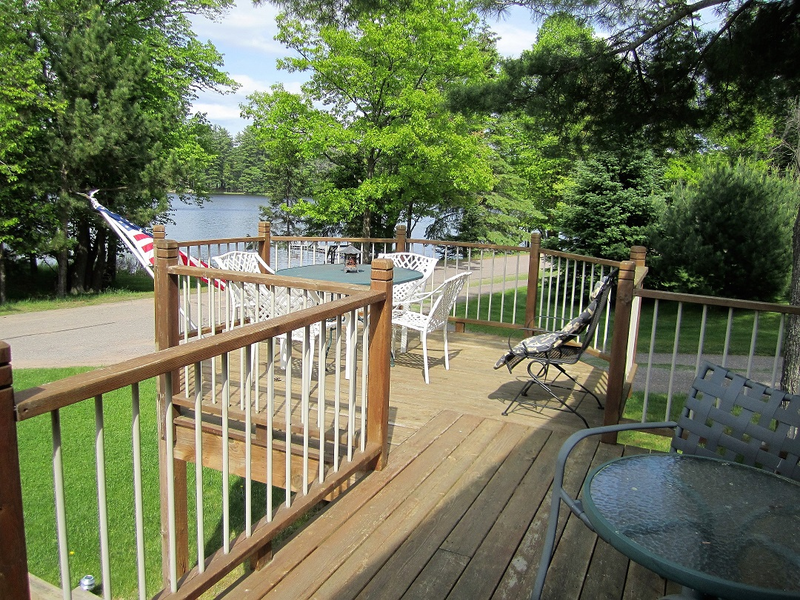 Enjoy a meal or beverage on the deck as table & chairs are provided. This home is SMOKE FREE. Housebroken/inside dogs OK with prior approval & credit card on file. 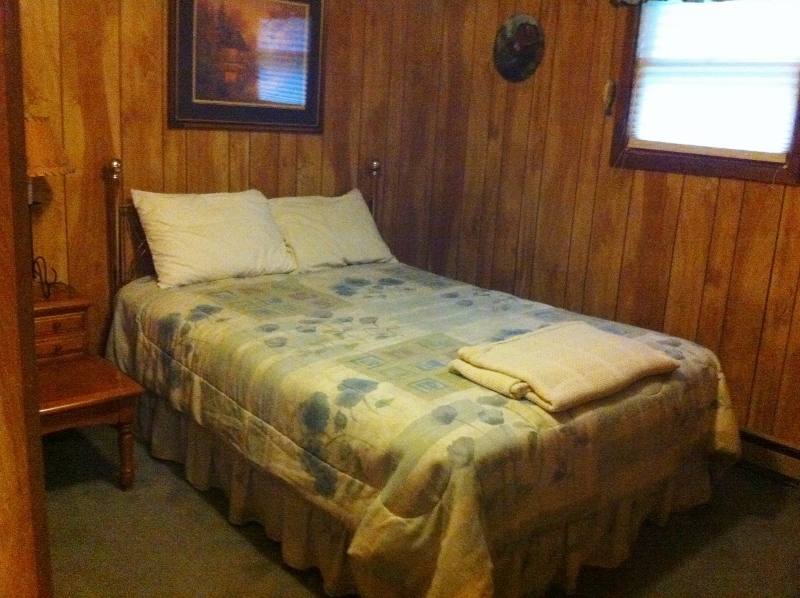 May 30 thru August 31 - N/A Nightly - $1625 per week - $3200 per month - July $3845 - $250 per night with a 4 night minimum. 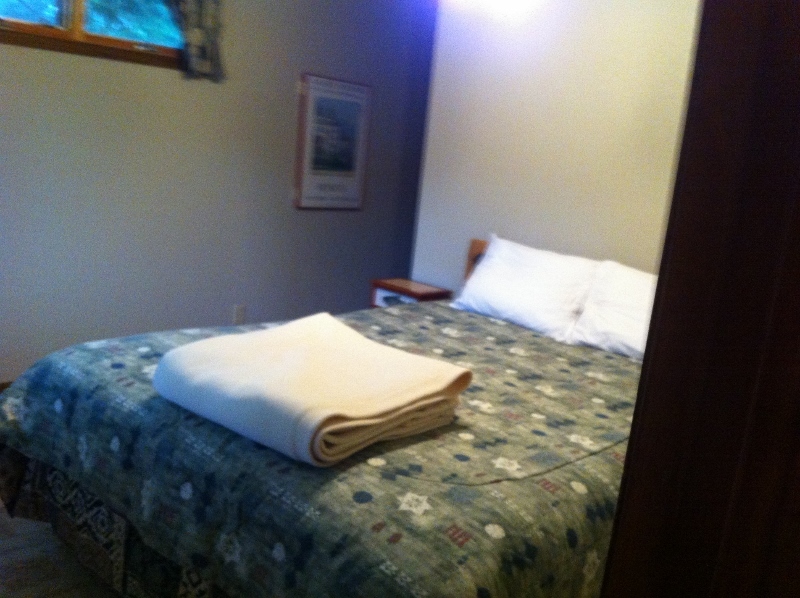 Special Events such as: Journeys Marathon, Cranberry Fest weekend, and Musky Tournaments - $190/night with a 3 night minimum. 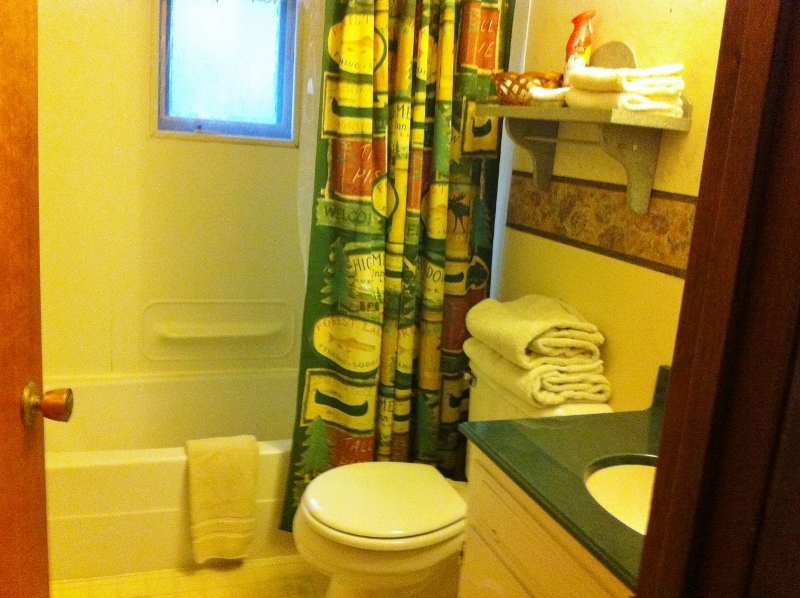 Christmas week $1400/wk or $225/night - with a 3 night minimum. 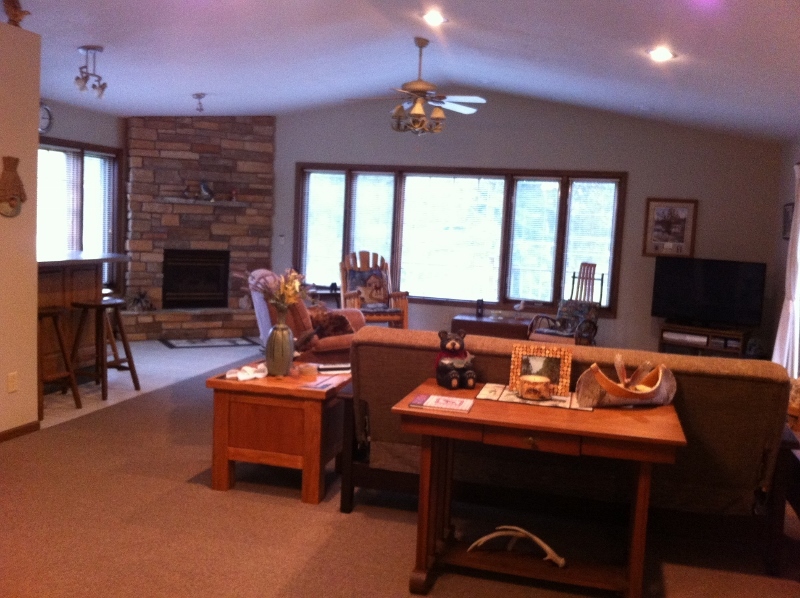 Derby & Vintage Races in January - $1400/week or $225/night with a 3 night minimum. Dates highlighted in RED are full. 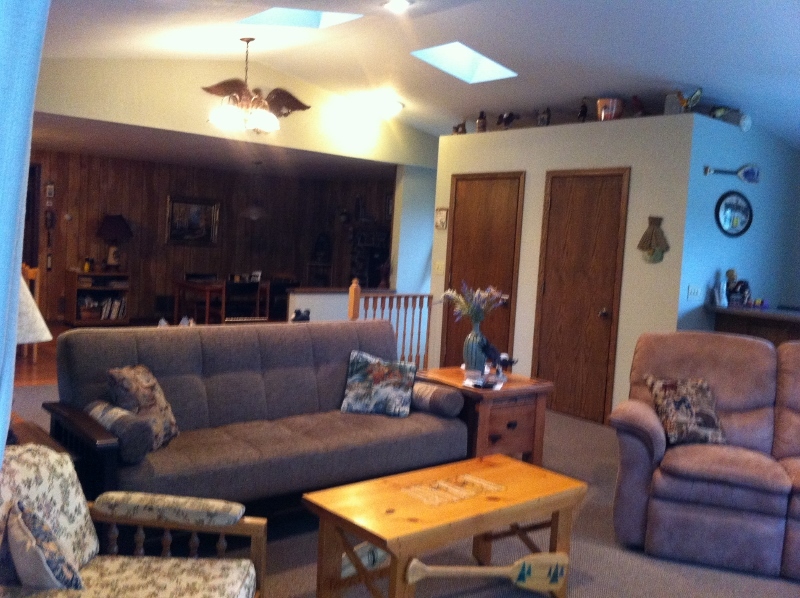 Wisconsin Vacation Homes, Condos, Villa and Cottage Rentals in Eagle River, Land O' Lakes, St. Germain, Three Lakes, Sugar Camp and Conover Wisconsin from Bayside Lodging Rentals in Eagle River Wisconsin. Wisconsin Fishing, Snowmobiling and ATV Vacation.